Khabarovsk Airport. In Russian only. Novosibirsk JSC Tolmachevo Airport English, Chinese and Russian. Pulkovo Aviation Enterprise. Serving St. Petersburg, Russia. Sheremet'evo Moscow International Airport Home Page English and Russian. Vladivostok International Airport. In English and Russian. Vnukovo Internationa Airport, Moscow. In English and Russian. Yuzno-Sakhalinsk International Airport. In Russian. CENTRAL AEROHYDRODYNAMIC INSTITUTE(TsAGI) In Russian and English. The Central Institute of Aviation Motor Construction (TsIAM). In Russian and English. Moscow Aviation Institute. In Russian and English. State Research Institute of Aviation Systems. In English and Russian. State Scientific Research Institute of Civil Aviation. In Russian only. Hang Gliding School. In Russian only. Affiliated with the Moscow Aviation Institute. Institution of Aviation Equipment. In Russian, Chinese, English and Spanish. Kazan State Technical University named after A.N. Tupolev. In Russian only. Russian Aerobatic Instructors, by Paul Ross, who flew in a Yak-52. Test Pilots' School. Official site in Russian only. The Testers. In Russian. The long list of links at the left is lists of test pilots from the earliest of Russian flying days. 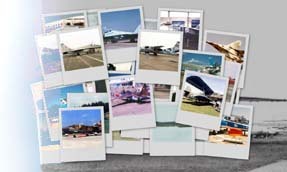 Photos, where available, and a biography of each pilot are provided. Vector Flight School. In Russian only. Aircraft Owners and Pilots Association - (AOPA Russia).In Russian only. Federation of Air Traffic Controllers' Unions of Russia. In Russian. Interstate Aviation Committee. These are the people who certify Russian aeronautical equipment, engines, aircraft, etc. Russian Aeronautical Society. In Russian only.